The T4 features include WQHD 2560x1440p front or Full HD 1920x1080p dual recording, front and back, a four inch, LCD color touchscreen, up to 155 degree wide angle lens on both the front and back, dual lenses for simultaneously front and rear recording, a built in G sensor, motion detection, parking mode, and it records audio. It contains the back camera that mounts to the back windshield. Once you plug a cable into the main display, the USB and plug it into the cigarette adapter, it’ll charge up and start recording immediately. A normal USB does not read the device. This is the suction cup that you put in the top of the front mounting camera, and then you’ll mount this on the front windshield. They give you a little orange device to snug your cable along the edges of the car itself, and for your cable management, this bag of plastic hooks with stickum on the back. Take a mount and pop a cable in the top. It’s clicked in, and this rotates. And then you suction cup that on the windshield, and then mount it somewhere in the center, not in your line of sight. After that, you just turn this, and it snaps into place. They give you two different lengths cables for the front camera, and they both fit into the camera. One you can plug into your computer. The other one you can plug into your camera or vice versa, depends on how much length you need. Plug a cable into your car, and it’ll start up automatically. The rear camera has a much longer cable because you’re obviously wrapping it around the entire car, and it goes into this slot here. You’ll know the difference because it’s a bigger slot for this attachment. Once you mount a camera onto the front windshield on the car`s surface, you’ll see how you can move these cables around the side of your car and go to the back. The only downside of this setup here is the long cables and using this device to slide it into the edges of your car. On the left hand side, you’ll see your power button. Hold that down for a couple of seconds. Here is where you put your 32 gig SD card, which they do provide for you, and if you want to put it into a different device to upload to your computer, you can just pop it out. Otherwise, just leave it right there, and then when you plug in your USB to your computer, it’ll start reading this as a new device. The nine dots on the screen are the menu. It shows you different video resolutions, playback options, photo capture, anything you may have taken photos of, the looping. You can also setup your day and time, date stamp, parking mode, device to automatically turned off, frequency, your ID, exposure, format the card once you get it, G sensor. With it, if the car gets bumped while you’re gone, it’ll start recording. It includes startup chimes, default, screen. You can have the screen turned off after so many minutes, and then motion detection, have that on or off. In the left hand side, there are the different drive modes in a way. The drive, is for everyday driving, optimizing recording settings for regular use. The scenic is for longer video clips for easier post-processing. Park obviously, is when the vehicle is parked. It increases G sensor sensitivity and optimizes battery efficiency. WDR stands for wide dynamic range technology, compensates for extreme light and dark spots, balances exposure, and produces a clear image. That feature’s really helpful when you’re driving at night. If you were to get in an accident and you want to have that recorded, hit a lock button and that’ll save that video clip so it won’t get deleted or destroyed. With the photo capture, you can take a picture of whatever’s on screen. It also has a microphone, so you can hear conversations or the radio. You can put that on or off. Both camera angles at once form a picture in picture. You can set it to have just the front or just the back. And in the front camera the footage is so clear, you can see license plates on the vehicles in front of you and behind you, which can be a great safety feature in case there is an accident or maybe someone accuses you of doing something illegal while you’re driving. You have the evidence with this camera system because you have a front view as well as a back view. One of the downsides is the setup and then stringing the cable around the edges of your car. You have the footage if you want it, and for the people who want to go on road trips and enjoy some of the scenery and look back where they were, that’s kind of cool. It might be one of those safety devices that you install in your car. Being unable to be read with normal USB. When it comes right down to it, dash cams are only as valuable as the records they provide. In this case, the records are determined primarily based on the image quality and the number of feeds offered. 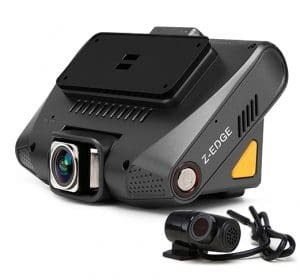 That is why the best dash cam to use during an insurance claim or to help deter criminal activity is a dual dash cam, and there is not a dual dash cam on our list better than the Z-EDGE S3. Aside from the fact that this unit will record both in front of and behind your vehicle, it will do so at exceedingly high resolutions. The front camera sports a crystal clear 1440p Ultra HD resolution, while the rear camera offers a surprising 1080p resolution. Combined, they offer one of the best pairings of camera qualities available. Of course, that quality does not come cheaply, and this is definitely a more expensive dash cam. However, that expense also goes to cover a number of convenient automatic features. For one, this dash cam provides a solid G-Sensor that does not respond to lighter motions but is ready for any serious movement. This same proper gauging applies to the parking mode as well. Unfortunately, this is one of the higher end models available that does not also come with a GPS or navigation system. In fact, that system is found on the S4 which is also thirty three percent more expensive. Another surprising misstep is the fact that the S3 only provides a 2.4” LCD screen. While the screen is clear and easy to read, the small size makes using the controls a bit difficult and navigating the menu while driving a real pain. While the Z-EDGE is undeniably the best dual dash cam on our list, the KDLINKS DX2 is not too shabby in its own right. This too is a dual dash cam, though it may not reach quite the same video quality heights as the Z-EDGE. While the front camera provides a solid–though unspectacular–1080p, the rear camera only records in 720p. While that is still technically HD, it will not provide the kind of clarity that one might expect from a top of the line dash cam. And on would certainly expect the DX2 to be top of the line considering it is an exceedingly expensive model. In fact, the DX2 is comparable to the Z-EDGE S4 in price if not image quality. However, the DX2 makes its bread and butter in an area where a number of other dash cams fail to shine: at night. The first feature to aid in this endeavor is its WDR system which applies a lightening after effect to all of the recorded footage, making it easier to see. While this will not actually increase the light reaching the sensor, it does intensify its effect. However, the DX2 also uses an incredibly narrow F-stop of 1.6. While this technically allows less light through the lens’ iris, it also makes the image it takes much sharper. These two features combined produce an superior nighttime image compared to most of the competition. The DX2 also puts to good use the six layer glass lens that features an anti-glare polarized lens thrown in the mix. This allows the DX2 to maintain an excellent image quality even when the sun is shining directly into the camera whether during dawn or dusk. Moreover, reflective surfaces like glass or water also fail to affect the image. 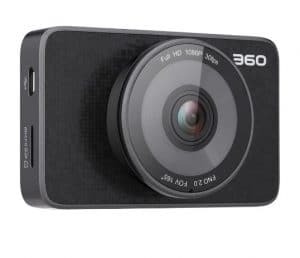 The 360 is a surprisingly capable dash cam that comes in at a fairly reasonable price. In fact, this unit comes with a hardware combination that is almost unheard of in a mid-tier dash cam. For instance, the Ambarella A12 processor is one of the best processors used for dash cams period. 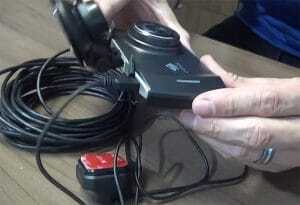 This is important because it ensures that the cam can process the video feed without issue. Some of the biggest problems that other dash cams occasionally have is blank spots in the recording or skipping. That is often in a large part due to the physical constraints of the dash cam’s processor. Unfortunately, the 360’s sensor cannot claim the same kind of stature. However, the AR2380 CMOS sensor is not terrible, but it certainly is not the best. This translates to image quality, and even recording in 1080p will not necessarily help the images if the sensor simply cannot record the light. Ultimately, this will translate to the images distorting when the subject is further away quicker and especially at night when there is less light to strike the sensor in general. On the plus side, this is one of the easiest dash cams to control. 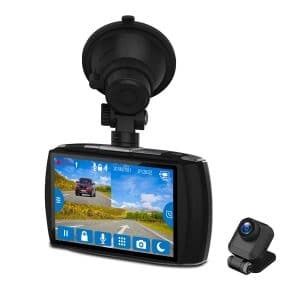 While the 3” LCD screen is a good size, it is the fact that this dash cam quickly and easily pairs with both Bluetooth and Wifi to connect your smart devices that makes it easy to control. You can watch a live feed of the cam’s recording as well as adjust setting right from the comfort of your smartphone without ever having to mess with the LCD screen. One of the features that is a bit hit or miss regardless the dash cam tier is GPS. You can find this feature on a number of mid-tier products, though the quality will often be spotty. Conversely, you can purchase a number of exceptionally high-quality dash cams which record in amazing HD resolution that somehow do not have this feature included. Thankfully, the WheelWitness offers a GPS tracking while also providing an excellent video resolution. While this model does not come with a second channel, the camera itself records in 1296p Super HD. Moreover, this dash cam can record in both 4:3 and 16:9 ratios of Super HD. However, it is the GPS system that truly steals the show. This system will not only track your vehicle’s position, but it will also track your speed and time during the trip. This means that if your vehicle is ever stolen, you can use the WheelWitness to help track down the vehicle and prove to insurance that it was stolen in the first place. Unfortunately, the outside of this product does not provide the same quality as the software. For one, this dash cam feels a tad cheap. Specifically, the casing and the buttons are a lower grade plastic that does not provide the substantial feel one often prefers in their electronics. Moreover, this model artificially inflates its viewing angle which can create a fisheye effect at the edges of the recording. 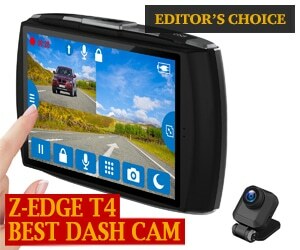 The Z-Edge S4 is considered to be one of the best dashcams out there, at least among certain drivers. If you’ve never heard of it before, though, you’ll be pleasantly surprised by what you learn. This may well be the dash cam for which you’ve been waiting. The Z-Edge S4 features a dual dash camera, with a 1440p front camera and a 1080p rear camera. This gives the device the ability to record video in a three-hundred-degree field of view, helping to provide a safer and better-monitored driving experience for its owners. Fitted with a number of high-end parts including a first-in-class night vision system, it’s a modern camera that presents crystal-clear images and that will easily allow you to see all the important details around your vehicle. Not only is this a useful camera, but it’s also incredibly easy to install. The camera stick right on your windshield – no wiring necessary. Each camera offers about one-hundred and fifty clear degrees of view, and even automatically records to an SD card in the event of a crash or theft. It’s an amazingly useful piece of technology for any driver. If you’re familiar with the world of dashboard cameras, you’re going to be pleasantly surprised by the tech under this dashboard camera’s hood. It makes use of the Sony IM323 image sensor and the NTK96663 chipset, allowing for ultra-high-def video with relatively low power consumption. It’s actually one of the most power-friendly dashcams out there, usually running on about half the power as its nearest competitors. The processor and the included 6G lens also lend themselves to incredibly image processing, even in low light. The tech under the hood makes it easy to capture all the details around the vehicle with relatively little loss of data and with virtually no camera lag. You’ll never miss pertinent information if you use this camera. The smooth image processing is the direct result of the processor and 6G lens. Moreover, this unit guarantees superior low light recording, both for the front and rear camera. This is a high sensitivity image sensor that guarantees excellent capture of all details and no lag at all. Keeping the theme of safety in mind, the S4 actually starts recording as soon as you start your car on and switches off when you cut the engine. This is a rather unique feature, but it makes sense. It’s one of the few ways that a camera of this size can reliably catch useful images without also catching a great deal of dead air. The automatic recording feature also includes a unique parking mode. When the accelerometer notices the car is parked, it will begin recording again as soon as it detects any kind of motion. There’s a reason why the Z-Edge S4 is so popular among enthusiasts. Between great features, superb technology, and an easy interface, it’s one of the best dashboard cameras on the market. 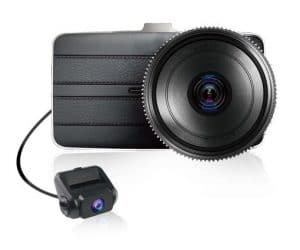 If you’re looking for a strong product that will help to protect your car both on the road and while you’re parked, this is the camera for you. OJOCAM is a fairly unique product on our list in that it is not made from a large company or well-known manufacturer. In fact, all of the firmware is done in-house. This can be both a blessing and a curse, because it means that quite often the dash cam may or may not have blind spots when it comes to interacting with newer hardware or software. On the other hand, this also means that the company is incredibly responsive when it comes to dealing with these kinds of issues. In fact, if you are able to provide some basic, specific information about your problem, the company is known to send personalized firmware updates for your problem in particular within a week’s time. Unfortunately, none of this is made any easier with an A2S60 processor that is fairly non-standard in the first place. However, the OJOCAM is incredibly small. Unfortunately, its size cuts both ways. On the positive end, this makes installing the dash cam a breeze. The cam is often small enough to fit on the front side of your vehicle’s rear view mirror so it does not obstruct your view at all. However, this also means that the LCD screen is a paltry 1 ½”–which is one of the smallest on the market. This is easily the top consideration of any dash cam arrangement. Whether you are trying to protect yourself from a criminal or provide a reliable witness for an insurance claim, neither are benefited from dash cam footage that is too blurry to make out details. However, some factors are more important than others when determining the video quality. Moreover, some that might seem a bit secondary can turn around and be more vital because of the setting. 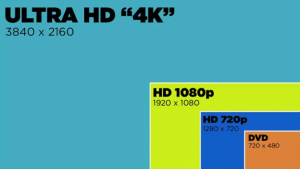 Resolution – Out of all the factors, whether related to video quality or otherwise, resolution is the most important. Not only does this quality determine how clearly you can see the video’s detail, it is also one of the qualities that comes in a wide range of values–from excellent to substandard. Ideally, you will look for a dash cam with a video resolution no lower than 1080p. 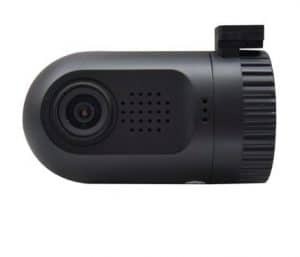 However, some dash cams offer video resolution in the 1296p range, known as Super HD, while others provide an even better resolution in the 1440p, or Ultra HD, range. Still, there are many dash cams that barely record in HD at all and many that simply do not–something that is even more likely if the dash dam has two or more channels. If you are using a dual dash cam arrangement, remember that the rear end is where a large number of accidents occur and a standard definition camera may not be able to clearly identify the license plate in the event of an accident–especially if moving at high speeds. 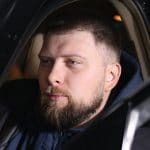 Some of the other video quality aspects may seem more important than this one, but when you consider that traffic accidents often occur at the sides of the vehicle, the field of view become far more relevant than even night vision. This again becomes more of an issue when you use a dual channel dash cam arrangement, because the rear camera is generally not designed to be as good as the front camera. However, there are a few benchmarks you can look for to identify the quality of your dash cams. 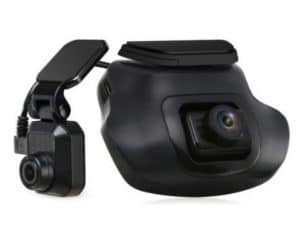 For the front camera, dash cams will generally top out at 170 degree view angle, though anything that provides a 150 degree view angle or better is acceptable. 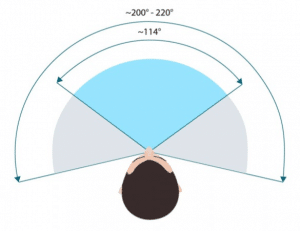 For the rear camera a 120 degree view angle is fairly standard–regardless the front angle–with anything below 100 degrees being a bit suspect. While we suggested that the field of view might be more important that night vision, that was largely because the field of view applies whether it is day or night. However, this is not to suggest that night vision is a secondary consideration or lower. In fact, field of view and night vision can be seen as 2A and 2B factors. Aside from the obvious fact that a dash cam that cannot record quality images at night ceases to truly serve its function, the quality of driving–and incidence of traffic accidents–also increases as the sun goes down. In an effort to increase night vision of dash cams, manufacturers generally rely on two different means: WDR and infrared. However, these two features are a bit restrictive in how they function especially infrared which will not penetrate a windshield and provide night vision outside of the vehicle unless mounted outside of the vehicle. 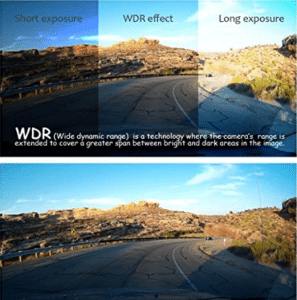 WDR, or Wide Dynamic Range, is a way to make the lenses so that the images themselves appear lighter. However, this is an important distinction, because the lenses do not actually pick up more details as much as they allow the details otherwise picked up to be represented in a lighter quality. 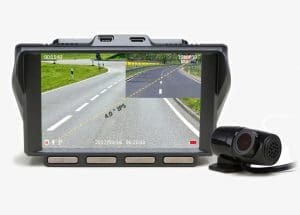 Frames per second, or FPS, is fairly important for a dash cam, but it is also one of the few video quality aspects that does not dip below a poor quality threshold–even for less expensive dash cams. This aspect of image quality will determine how well the dash cam can take a still image and how well quickly moving objects are captured on recording. While exceedingly rare, the ideal FPS is 60. This means that each second of recording is composed of 60 individual images. 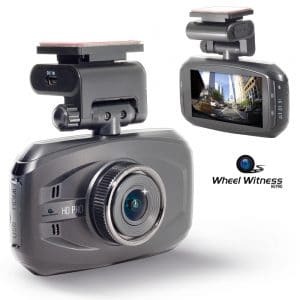 This increases that speed with which the dash cam can snap a still image and provides far more images to ensure a car hurtling at 50 mph or faster will still show up clearly on the recording. 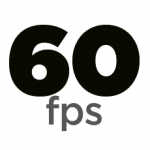 However, 30fps is more common–though thankfully, few dash cams record lower than this fps. If they do, you should likely invest a bit more for a better dash cam as the images will only be useful while parked. This refers to how many different cameras your dash unit actually uses. Some of the most professional arrangements can accommodate as many as four different channels–often used to record out front and back, the back interior, and the driver from the passenger’s side. However, most consumer units offer a maximum of two channels. Though, for evidentiary purposes, two cameras is often enough: one to film in front of the vehicle and one behind. However, be careful that your rear camera can record in a high quality video image or it may simply add an unjustified cost to the unit. This feature is fairly important, but it is also dependent on your ability to purchase peripherals. If you do not mind buying numerous memory cards, then the maximum size does not matter all that much. However, if you do not have the ability to purchase a handful of memory cards, it is better to get a dash cam that can use 64 GB microSD card or better. Format – Second to the maximum amount of storage afforded is the video file format the dash cam records in. Different file formats will produce either a more compressed image–which allows more recording, though often at the expense of image quality–or a sharper image. It will also determine what type of playback software is required to view the image. For example, AVI files are designed for use with Windows Media Player while Mov files are quicktime designed for apple software. Moreover, the codec of these files–generally either a MPEG2 or H.264–will impact both the image quality and file size. 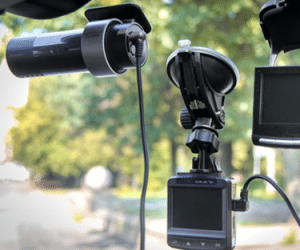 Loop Recording – Regardless of the file format, video codecs, or size of the memory card, the ability for a dash cam to loop its recording should not be overlooked. Loop recording basically allows the dash cam to record over old footage removing the need to constantly swap out memory cards. If the dash cam cannot loop record, it will simply stop recording when the memory card is full. Various dash cams offer a number of automatic features designed to make using the cam easier. The primary benefit of these features is that they do not require the user to specify when the camera should start recording in a variety of different, relevant situations. G-Sensor. This feature is arguably the most important automatic feature a dash cam can have. Basically, whenever the dash cam is subjected to a force that jolts it, the camera will mark the footage before and after the shock as vital. This will prevent the dash cam from recording over this footage if it makes use of loop recording. Parking Mode. This feature is similar to the G-sensor, except it applies to your vehicle at rest. Basically, if you vehicle is subjected to jolting shock or triggers a motion detection, the dash cam will automatically start to record. This feature can be a bit trickier than G-sensor depending on the sensitivity. If your dash cam allows you to manually adjust the sensitivity of this feature, then you can find the sweet spot for your vehicle. If not, you may very well end up with hours of cats walking across your car in the recordings. Automatic Start/Stop. This seems like a bit of an obvious, but it also requires a good bit more effort. Basically, whenever you turn your vehicle’s ignition on the camera will start recording. When you turn the vehicle off, it will stop. 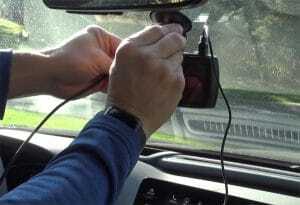 To get this feature to work, many dash cams require the unit to be hardwired to your vehicle. This will take significantly more time to install not to mention the possibility of having to hire a professional. Though, this is not the only potential feature to require such. Most dash cams only connect either through a USB connection or by removing the memory card. Moreover, most USB connected dash cams require a computer to download the video feed from if they include that feature. WiFi – A more convenient method of connecting externally is through Wifi. This allows the dash cam to sync with a smart device from which it can be controlled. Moreover, the video stream can also often be downloaded from the dash cam via Wifi and onto an external device. Smart Devices – Wifi is not the only means some dash cams have of connecting to your smart device. Some are able to make use of a USB port, though that is generally used for computers. The other method, though the least common or reliable, is Bluetooth. Unfortunately, bluetooth is more prone to interference and is not always reliable. Output – The final form of connectivity involves direct feeds. This is where the dash cam includes a port that can connect to another display device directly. However, this display device will rarely be able to control the dash cam itself. Instead, various TV screens built into your vehicle can accept either an AV or HDMI input and display what the camera is recording in real time. For those of you who purchase a dash cam as a means of deterring crime, this feature becomes even more important. Quite often, the GPS will track the entire route, the speed of the vehicle at different points, and a number of other values. This information can also be useful for filing an insurance claim. You can prove where you were as well as how fast you were going. The better GPS systems will include time and date syncing which can further support an insurance claim. The best dash cam will be the one that provides the best features at the right cost. If you are comfortable splurging a bit, then either KDLINKS or the Z-EDGE are right up your alley. If you are looking for the best package around, the Z-EDGE records in amazing Ultra HD while still recording in 1080p for the rear camera. The KDLINKS may not provide the absolutely best resolution, but it more than makes up for it with amazing nighttime video quality. Of course, not everyone feels the need to have two cameras and are looking for other qualities instead. For those of you who want your devices to easily connect with your smartphone, the 360 allows you to control everything from your handheld device. Which is newer or better the Z-Edge 3 or 4 ?